Discover Heritage Enclave, a townhouse community that is close to everything yet away from it all! US1 and Heritage Blvd., Hobe Sound. Open 12-4 daily. Come home to a secure, gated townhouse community with just 50 well-appointed residences in a tranquil setting amidst preserve and water views. Choose from three or four bedroom plans with stainless appliances, granite counters, and tiled living areas. Have we made your list? Register now to get property information, construction updates, available homes, and more. 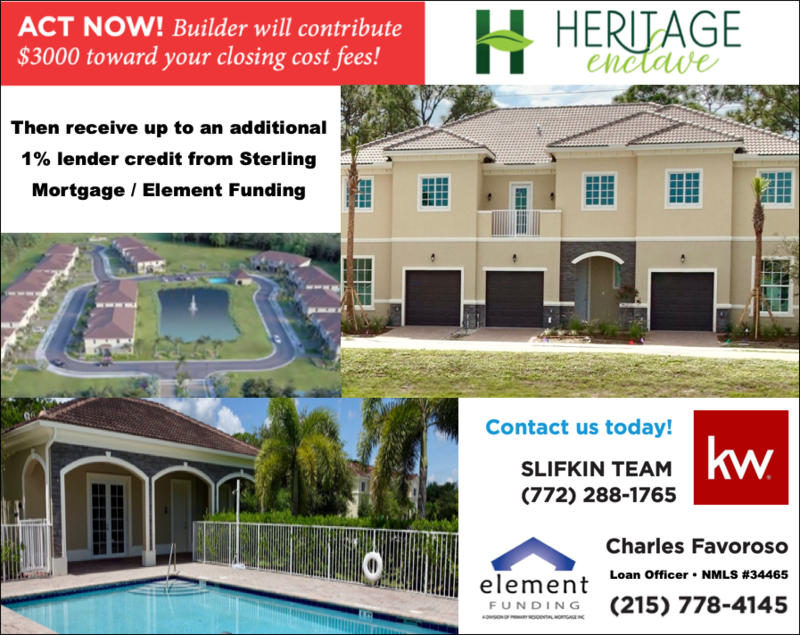 Call 772-675-2268 for info or click on the link for current incentives. Ready to choose your new home?